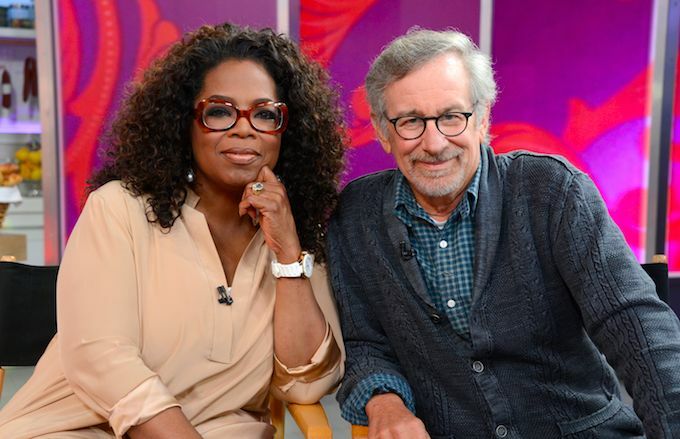 Steven Spielberg and Oprah Winfrey are teaming up to develop the property as a movie musical at Warner Bros.
Quincy Jones and Scott Sanders are also on board to produce the movie, which is launching 36 years after Alice Walker’s novel “The Color Purple” was published and won the Pulitzer Prize. Spielberg directed and produced the 1985 movie, which received 11 Academy Award nominations but was shut out from winning an Oscar. The story centered on Celie, a black Southern woman in the early 20th Century who’s abused by her father and husband. Whoopi Goldberg starred as Celie in Spielberg’s movie and received an Oscar nomination as did Winfrey, making her feature acting debut. Spielberg did not receive an Academy Award nomination for his directing, but did receive a Directors Guild of America Award for outstanding directorial achievement. The movie was a strong performer at the box office with $140 million worldwide on a $15 million budget. The musical, with a book by playwright Marsha Norman, opened on Broadway in 2005 and earned 11 Tony nominations. Music and lyrics are by Stephen Bray, Brenda Russell and Alee Willis. The 2016 revival, starring Cynthia Erivo, won two Tonys, including best musical revival. Sanders produced the revival. The new movie iteration of “The Color Purple” is currently in early development without a cast, director, or writers. The news was first reported by the Hollywood Reporter.